Do you know what’s even better than a good movie? A movie that is better than the one that came before it in a series. That’s really hard to do. For example, Steven Spielberg did a great job making classics like Close Encounters of the Third Kind, Jaws, E.T., Raiders of the Lost Ark, and Jurassic Park, just to name a few. But two of those didn’t even get a sequel, and the ones that did got ones that didn’t live up to expectations. Many other filmmakers have a similar story to tell. That’s why I’m going to honor 10 sequels that surpassed their predecessors in virtually every way. I did a whole article showcasing all of the similarities between these two films, and along the way I explained why James Cameron’s Aliens is a superior film to Ridley Scott’s Alien. So I’ll just add a few notes here. In Aliens, the stakes are much higher than they were in Alien. We get to see a colony of humans decimated by an alien attack, graphically demonstrating a threat that was only vaguely hinted at in the first film about aliens being used as weapons against other humans. The story feels more focused in Aliens. Everyone wants something. 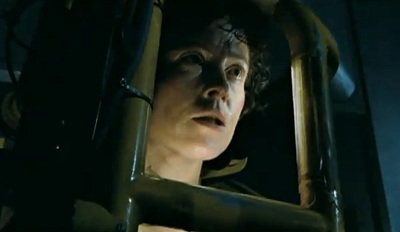 Ripley wants to stop her nightmares and find redemption by protecting Newt. Bishop wants to prove that not all Androids are monsters. Burke wants to use the aliens for his own ends. What do the characters in the first film all want? To survive and get back to Earth. Not very complex. Better action, suspense, character development, music, dialogue – you name it, Aliens has it. Thank goodness for Batman Begins. For the longest time, I couldn’t quite put my finger on why Batman (1989) rubbed me the wrong way. It felt like a good movie, but after watching it I would always feel a little unsatisfied, like I wanted it to be better than it actually was. After watching Batman Begins, I finally figured it out. It’s because the 1989 Batman didn’t have a very interesting story, and it didn’t really build to a great conclusion. It just sort of ended with little accomplished and the titular character still a mystery. Batman Begins went all out in telling the story of how Bruce Wayne became the Caped Crusader. By the end, I felt like I had been on a huge journey, and I was primed to see more of Batman’s adventures. Little did I realize how grand the adventure would be in The Dark Knight. This film escalates everything in the first film to a new level of greatness. Batman takes on organized crime at first, but his actions wind up creating an even more dangerous situation when the mob bosses desperately turn to the Joker to save them. Unfortunately, the Joker has no allegiance to anyone. His cause is chaos, and he creates a lot of it throughout the film. 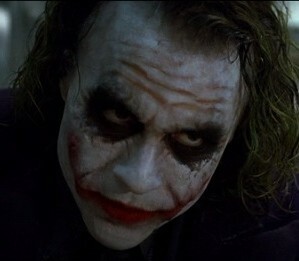 I discussed the rich symbolism of the Joker in another article. My favorite thing about The Dark Knight is the fact that it doesn’t focus primarily on Batman or Bruce Wayne. The real focus is on Harvey Dent who represents Gotham’s soul. The first and third films in Christopher Nolan’s Dark Knight Trilogy are good, but the second film is the pinnacle because it explores so many challenging ideas about what makes a hero, how far people are willing to go to preserve order, and what causes people to fall from grace. It is a masterpiece. James Bond has gone through so many iterations and updates over the past five decades that it’s a little weird to go back and watch the character’s humble origins on film. Dr. No is an okay movie. Bond is certainly cool and suave, but he makes plenty of mistakes on his way to solving the mystery and defeating the titular villain. There are just a lot of things that are supposed to be threatening that come across as silly, like the armored tank that’s mistaken for a dragon, the villain who’s all talk and no action, and the climax that feels more cartoony than life-threatening. I don’t think it’s a horrible movie. I just think that almost everything that followed is much better than this initial effort. I don’t know what audiences were expecting when they went to see From Russia with Love for the first time in 1963, but what they got is one of the best suspense movies ever made. While the first film’s action sequences left something to be desired, the sequel is constantly doing something unexpected. The brutal train fight with the SPECTRE agent, the helicopter flybys, and the fiery boat chase are all superb. Each one made me feel like Bond was in mortal danger and he might be outmatched. But Bond always uses his wits and his surroundings to get the upper hand. This film still has its moments of silliness, like the wife fight and the Moneypenny scenes. But overall, it’s still one of the best in the series. The Lord of the Rings: The Fellowship of the Ring is a good movie. It has moments of greatness, like the journey through the Mines of Moria and the ride down the river past the Gates of Argonath. But the movie is mostly filled with character introductions and a lot of information for the uninitiated. Plus, I’m just not a big fan of large groups of characters all in one place. I like it better when they’re broken up into smaller groups, and each one gets to have a separate but interconnected adventure. Luckily, that’s exactly what happens in The Two Towers. At the end of the first film, two hobbits have been captured by Orcs, a dwarf, elf, and human are in pursuit, a wizard is supposedly dead, and two other hobbits are setting off on a journey they don’t expect to survive. The way their stories unfold and interweave is breathtaking. This time around, we get to see the characters not just trying to get the One Ring to Mordor, but dealing with treachery in kingdoms, putting up desperate defenses against annihilation, trying to redeem seemingly irredeemable characters, and turning the tide of several pivotal battles. Gollum’s portrayal as a deranged yet pitiable character is probably the greatest addition to cinema found in The Lord of the Rings trilogy. 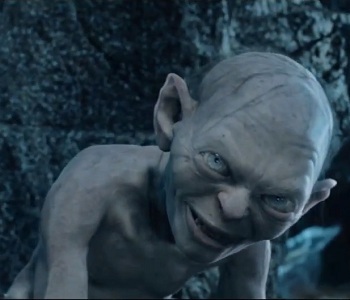 Frodo tries to befriend him, but in the end he cements Gollum’s bitterness ironically in an attempt to save his life. There is so much irony, bravery, and other awesomeness in this film, I just can’t do it all justice. But I can say that The Two Towers is even better than The Fellowship of the Ring. And that’s an incredible feat to pull off. Before blockbusters were driven (at least in part) by their special effects, The Godfather set the standard for dramatic blockbusters. This is a must-see film not because of its eye candy but because of its engrossing story, larger-than-life characters, and masterful storytelling. And the sequel is even better. The Godfather, Part II does something I’ve never seen in any other sequel. It goes back and forth between being a prequel and a sequel, putting the first film at the center of a much larger story. After you watch The Godfather, Part II, you feel like you have a complete picture of the Corleone family legacy. It’s both beautiful and horrifying to see what this immigrant family becomes in just two generations in America. The Godfather would not be complete without its sequel, which is the best compliment one could give to a sequel. Shrek put DreamWorks Animation on the map back in 2001. It is a clever sendup of fairytales, and it wisely steers clear of direct comparisons to classic Disney films by focusing primarily on three new fairytale characters: Shrek, Donkey, and Fiona. For such a genre-bending film, it has a surprisingly simple story: Shrek walks to a castle to rescue Fiona from a dragon, and then he delivers her to the lord who sent him on the mission. Along the way, there are lots of great jokes, gags, and adventures. It’s a nice little film. Shrek 2 is where things go from good to great. Now that the characters are established, the film delves deeper into their psychology, family relationships, and self-perceptions. Seeing Shrek as a human and Donkey as a stallion is a real treat. I didn’t think it was possible, but the jokes and gags this time around are even wittier, and everything feels fully realized whereas in the first film, it felt like everything was just getting started. If this had been the last outing of the Shrek franchise, I would have been very happy. This is a spectacular high note that few movie series achieve. The drama, comedy, and action are all perfectly balanced. Not bad for a smelly ogre. Spider-Man (2002) is a pretty good start for the franchise. It sets up the characters in a fairly safe way, and doesn’t give them too many challenges to start with. Luckily, Spider-Man 2 doesn’t play it safe the way the first film did. It takes a lot of chances: making Peter Parker’s misery the focus of the first half of the film, taking away some of Spider-Man’s powers at inopportune moments, making the villain likable and sympathetic, and forcing Parker to choose between being a superhero and just a regular guy. All of these elements add up to a fantastic experience that is still the high point of the franchise, including The Amazing Spider-Man. I especially love the train sequence. The choreography, editing, music, and camera angles constantly keep you on the edge of your seat. And after Peter brings the train to a halt and saves everyone aboard, they return the favor by promising never to reveal his true identity. That scene is possibly the best of any scene in comic book movie history so far. Star Trek: The Motion Picture is a production disaster. It went way over budget, never had a finished script, endured numerous changes over the course of preproduction and filming, and became notorious as a slow-moving mess of a film. But I still kind of like it. I love the fact that I never have to worry about missing pivotal plot points because either nothing is happening on screen for several minutes, or they’ll be discussed again and again, as though the characters are constantly having to remind themselves what the heck they’re doing. Star Trek II: The Wrath of Khan could not be any more different from Star Trek: TMP. It had tight budget constraints, an amazing script, few deviations from the written script, and exceptional pacing and dramatic resonance, which make it the standard by which other films in the franchise are measured. The only thing these two movies have in common (other than the characters) are their exceptional soundtracks and a few reused special effects. Star Trek II is the true starting point of the Star Trek film series. It invented the uniforms we know and love, established the story arc that would play out through Star Trek VI: The Undiscovered Country, and turned the actors’ increasing ages into a strength rather than a liability that should be ignored, like in the first film. 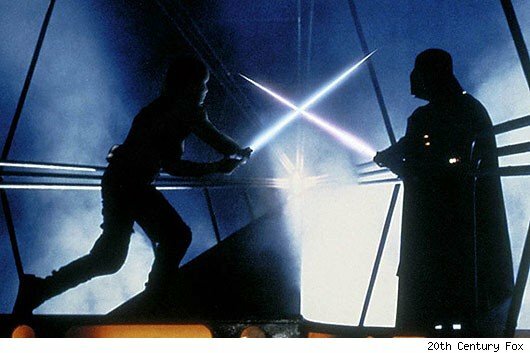 Star Wars: A New Hope is one of the most enduring films of all time. Many films have made a lot of money and then faded from memory over the years. Most of them simply don’t have staying power. They might be respected as classics, but people aren’t as eager to see them today as they were when they debuted. But Star Wars is a huge exception to the rule. It is just as popular today as it was in 1977, if not more so. A big reason for its prolonged success, in addition to its timeless themes and characters, is its sequels. The Empire Strikes Back elevated Star Wars from simple escapist fantasy to something much deeper and more meaningful. It’s The Empire Strikes Back that explores Han’s and Leia’s relationship in a serious way, sets the standard for epic lightsaber duels (which has never been topped), introduces Yoda and the mystique of the Force, has a shocking revelation about Darth Vader, and first uses the Imperial March theme. While Star Wars created a new galaxy, The Empire Strikes Back explores that galaxy and makes it a much more interesting place to visit. 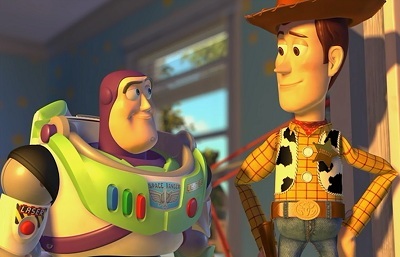 When I first saw Toy Story as a kid, I thought it was just okay. The story felt like it had been done a million times: a sort of love triangle erupts, misunderstandings ensue, and relationships are repaired in the end. It wasn’t all that complex in its storytelling style. Plus, the characters come across as just plain mean-spirited most of the time. Woody is often lying, pushing people, telling them to shut up, and getting into fights. Mr. Potato Head is full of accusations and threats. Sid, the kid next door, is positively cruel in everything he does. The first Toy Story film is still a good visual achievement, but it’s not the great film that I would like it to be. Toy Story 2 is a completely different story. In this film, Woody finds himself in a frightening situation not because he tried to hurt another toy but because he was trying to save another toy, and he got stolen by a toy collector. Rather than waiting around to see what will happen, like in the first film, Buzz Lightyear and the other toys set out on a journey to save Woody and bring him home. Everyone is acting nobly, and they’re trying to do the right thing, even when they hit grey areas and the answers aren’t immediately clear. This film deals with much more grownup themes than the first one, and it gives all of the characters something to do and ways to develop their personalities. The fact that Toy Story 2 was made at breakneck speed with little hope that it would even merit a theatrical release is a testament to the filmmaking genius of the folks at Pixar. Out of the worst possible conditions, they produced the best film in the Toy Story trilogy. To infinity and beyond, indeed. This entry was posted in Random Stuff and tagged films, movie review, movies, sequels. Bookmark the permalink.